Home » Expired Contests » Enter to Win Skyscraper on Bluray! 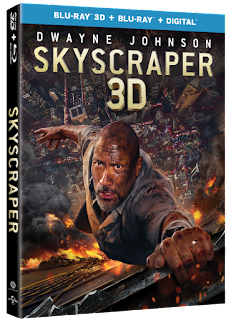 Enter to Win Skyscraper on Bluray! 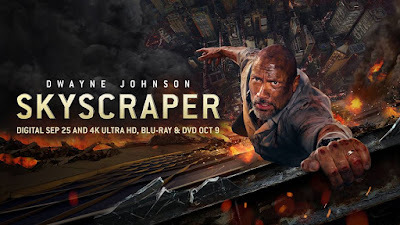 Fueled with adrenaline and high impact verticality, Skyscraper is led by superstar Dwayne Johnson who plays former FBI Hostage Team leader, U.S. war veteran and amputee Will Sawyer. While on assignment in Hong Kong as an assessor for security in skyscrapers, he comes to find the tallest and safest building in the world suddenly ablaze, and he has been framed for it. Wanted and on the run, Will must find those responsible, clear his name and save his family who is trapped inside the building… above the fire line. Courage has no limits in the heroic action-packed film Skyscraper, arriving on Digital and via the digital movie app MOVIES ANYWHERE on September 25, 2018, and on 4K Ultra HD, Blu-rayTM, DVD and On Demand on October 9, 2018.